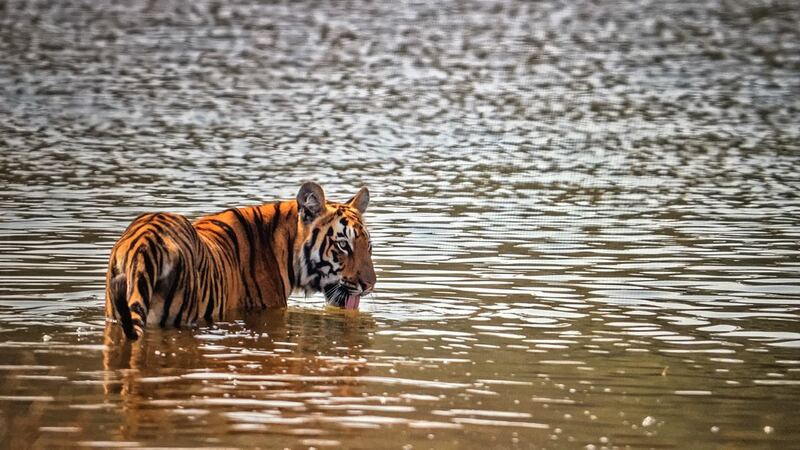 This article will give you the top Tiger reserves near Hyderabad where you can do a weekend getaway easily (or mostly long weekend getaways). Please note: We have NOT classified/ordered based on government reports of how many Tigers are resident in that park or based on the Tiger density (number of tigers per 100 sq. km) but purely based on how many Tiger sightings have happened over the last one year and what is the probability of tiger sighting based on last year data. Tadoba Tiger Reserve, Chandrapur Dist. Tadoba Tiger Reserve or Tadoba-Andhari Tiger Reserve or TATR or Tadoba-Andhari National park – whatever name it goes by is one of the best tiger reserves today in India and has the highest tiger sighting index (TSI). Also currently the sightings are extremely good and People all over the world are heading towards Tadoba for the glimpse of that majestic Tiger and Hyderabad residents should take advantage of the same for being so close to it and for having such great connecting roads. If you can leave by 4am in the morning, you should reach by 1pm including your breakfast break as roads are extremely good. You can checkin by 1pm, have your lunch at the hotel by 1.30pm and by 2.30pm you are ready for the afternoon Safari. Assume it’s a long weekend, stay back Day1, do morning and evening safari on Day2 and do a morning safari on Day3 and checkout by 12 noon and head back to Hyderabad and by dinner time you will be home. Seems like a perfect plan for a long weekend. 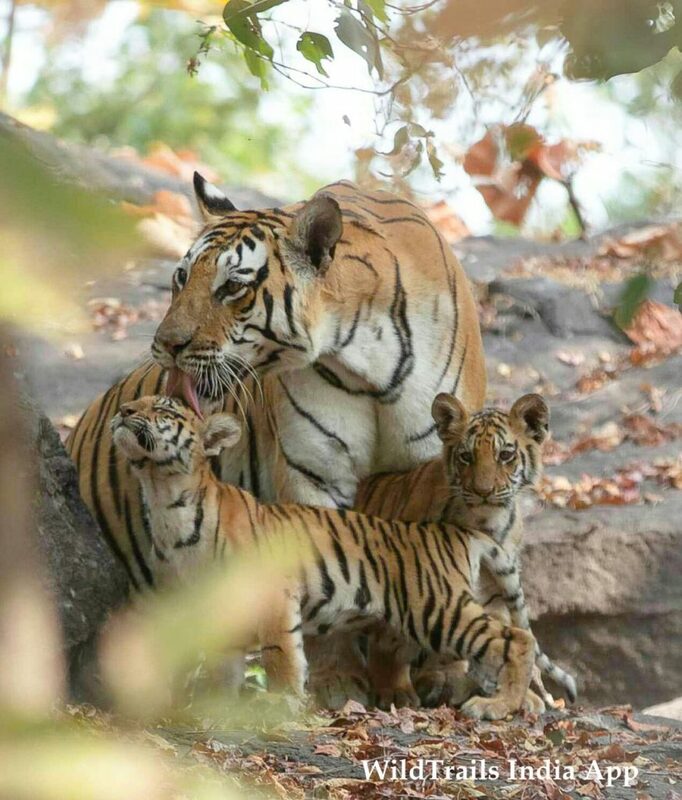 Tadoba Andhari Tiger Reserve is a tiger reserve in Chandrapur district of Maharashtra state in central India. It is notable as Maharashtra’s oldest and largest national park. It is one of India’s 43 “Project Tiger” – tiger reserves. 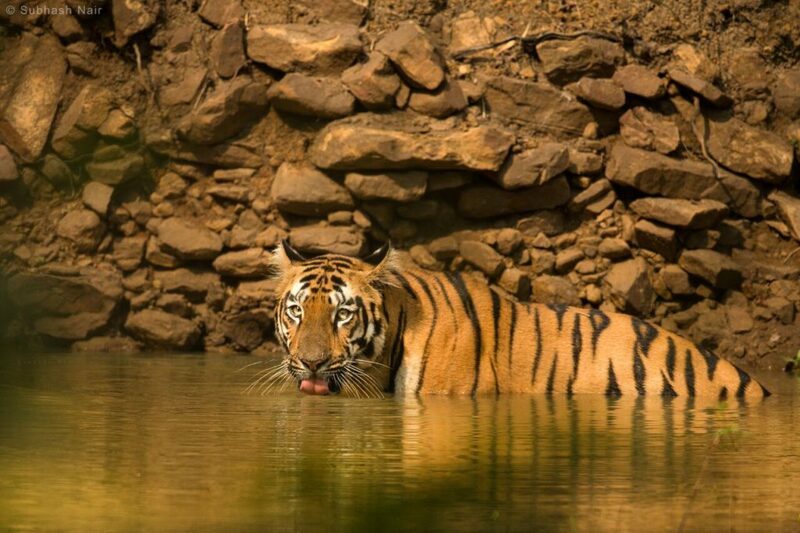 The name ‘Tadoba’ is the name of the God “Tadoba” or “Taru”, praised by the tribal people who live in the dense forests of the Tadoba and Andhari region, while the Andhari River that meanders through the forest. gives the ‘Andhari’ name. Legend holds that Taru was a village chief who was killed in a mythological encounter with a tiger. A shrine dedicated to the God Taru now exists beneath a huge tree, on the banks of the Tadoba Lake. The temple is frequented by adivasis, especially during the fair held every year in the Hindu month of Pausha, between December and January. The Gond kings once ruled these forests in the vicinity of the Chimur hills. Hunting was completely banned in 1935. Two decades later, in 1955, 116.54 km2 (45.00 sq mi) was declared a National Park. Andhari Wildlife Sanctuary was created on the adjacent forests in 1986, and in 1995, both the park and the sanctuary were merged to establish the present tiger reserve. Pench Tiger Reserve or Pench National park (Maharastra side) is also one of the best tiger reserves today in India and has the reasonably good tiger sighting index (TSI). Pench is the the jungle whee the JungleBook novel/movie is based on. It’s just a 9-hr drive and has great connecting roads and can be an amazing drive from Hyderabad. If you can leave by 3.30am in the morning, you should reach by 1.30pm including your breakfast break as roads are extremely good. You can checkin by 1.30pm, have your lunch at the hotel by 2pm and by 2.30pm you are ready for the afternoon Safari. Assume it’s a long weekend, stay back Day1, do morning and evening safari on Day2 and do a morning safari on Day3 and checkout by 12 noon and head back to Hyderabad and by dinner time you will be home. Seems like a perfect plan for a long weekend. The Reserve gets its name from the Pench River that flows, north to south, 74 km through the reserve. The Pench River bisects the Pench reserve into two nearly equal parts; the 147.61 km² of the Western Block which falls in the Gumtara Range of the Chhindwara Forest Division and the 145.24 km² of the Eastern Block in the Karmajhiri Range of the Seoni Forest Division. The total area of the Reserve is 757.89 km² of which the Pench National Park, forming the core zone of the Reserve, covers 292.85 km², and the Mowgli Pench Wildlife Sanctuary is 118.30 km² in area. A Buffer Zone constituted by Reserve Forests, Protected Forests and Revenue land, occupies 346.73 km². If you need further info on Top Tiger Reserves near Hyderabad or any wildlife sanctuaries near Hyderabad, or plan a visit any of theseTop Tiger Reserves nearHyderabad, and need further info or you want us to help you book safaris and/or stay with any of theTop Tiger Reserves near Hyderabad, contact us any time via an email to hyderabad@wildtrails.in or call us any time on +918030178142 or WhatsApp us @ +919901175444. Also please do install WildTrails India App or read the below related blogs.